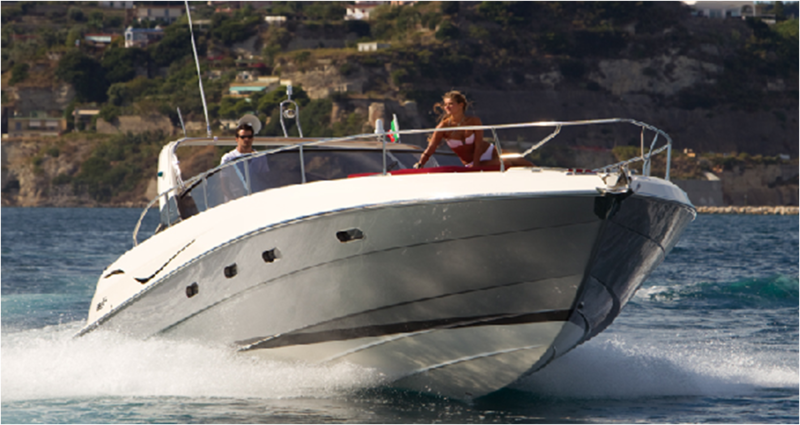 The 38 S genius is the novelty that Fiart Ocean proposes for the next boating season. The new model represents a revision in a modern style of the bestseller 38 genius, however, maintaining unchanged the technical characteristics. The Company is committed to finding an innovative look, that would be compatible with the needs of owners and younger with the latest and now-established models and 4SEVEN 4tFOUR genius to bring a product to fashion and sports from the soul. 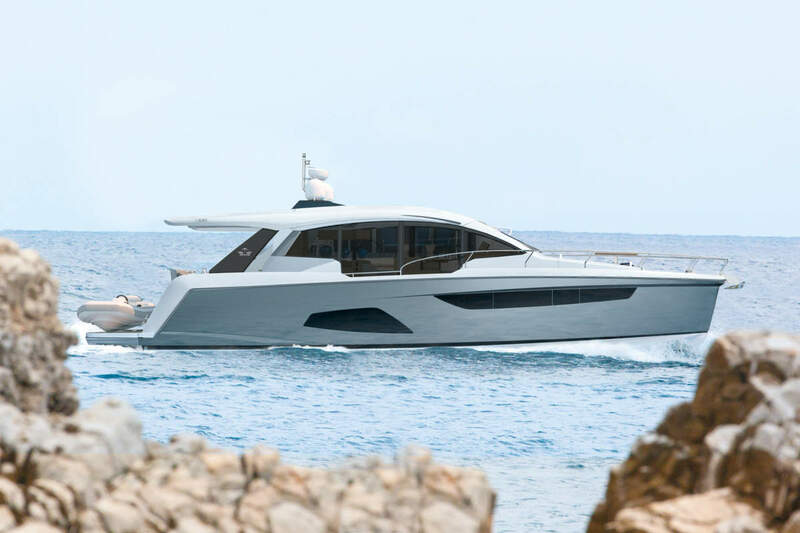 Giving a look on the profile, you immediately notice how the livery of metallic gray and dark gray inserts at the base of the roll cage adds elegance and sportiness to the boat. The upholstery colors make the already comfortable and flexible outdoor most vibrant and welcoming. The new instrument panel helps to improve driving posture and viewing of electronic instrumentation for optimal control of the boat. The complete restyling of the furnishings Interior proposes a new design of the kitchen and bathroom , and a clear and simple in décor, which contrasts with the oak parquet flooring in wenge and the liveliness of the upholstery and makes the bright and fine hospitality. 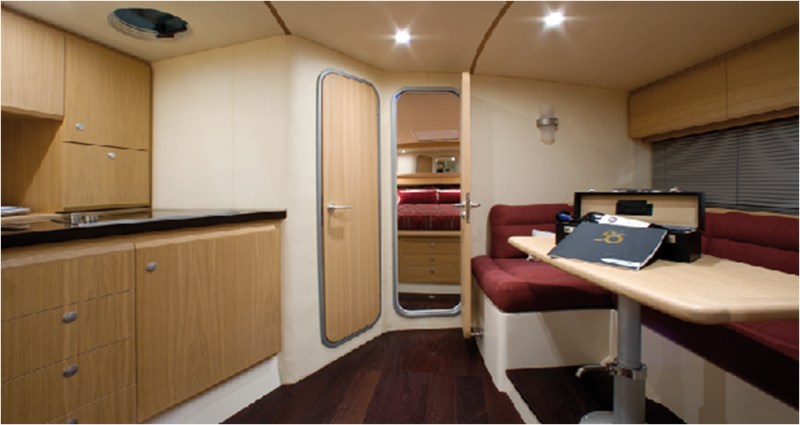 Volumes deck can be arranged according to two different layouts : the standard version, with three cabins and one toilet room, and the alternative option with two cabins and two toilet rooms. 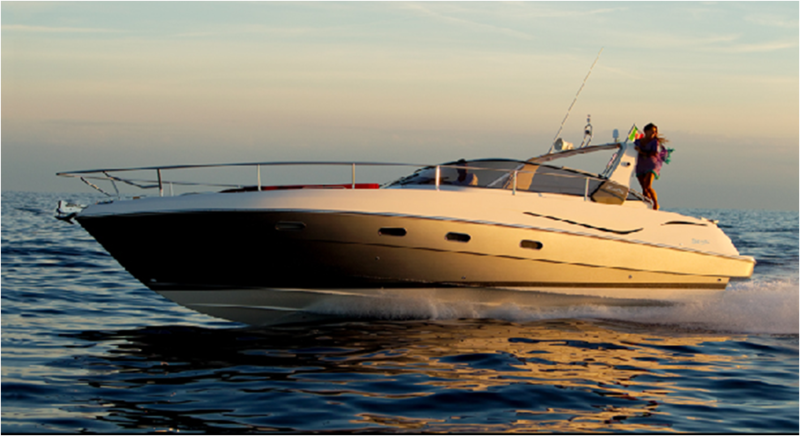 The Genius 38 S is equipped with two diesel engines Volvo Penta D4 EVC- 260-or 300 HP each, which push the boat up to cruising speed is brilliant peak. Consumption is very low, to the benefit of the autonomy of navigation. These engines also support the installation of the joystick to maneuver , making operation simple and intuitive mooring. 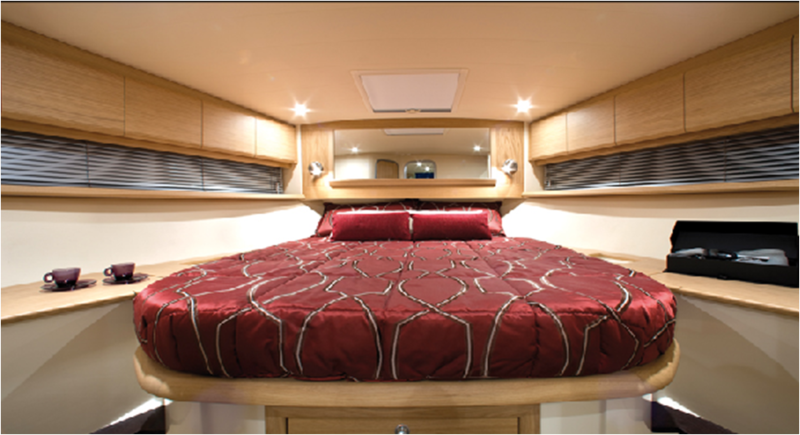 The 38 S genius is also built with the technique of vacuum infusion , which makes the product high specific strength and improves productivity, safety and healthy working environments. 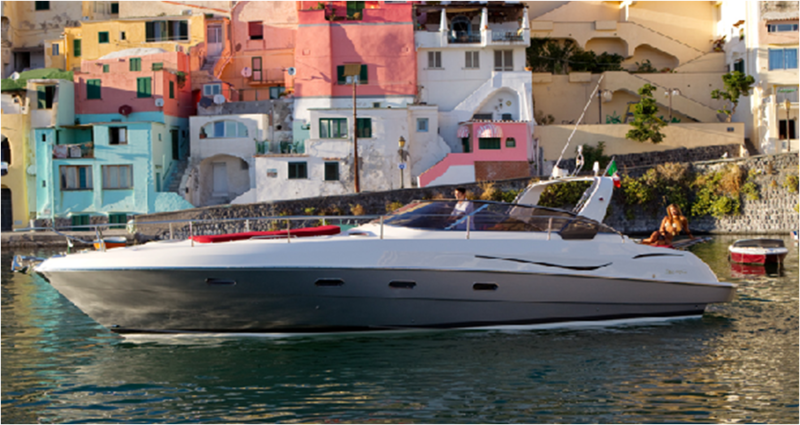 The 38S is testament to the heritage of performance cruising from the Italy boat builder and continued innovation for under 50 footers.